Robert Anthony “Bob” Ohland, Jr., 78, a resident of Davenport, died Sunday, April 14, 2019 at UnityPoint Trinity Bettendorf. Funeral services celebrating his life will be held at 11:00 a.m. Friday, April 19, 2019 at Halligan-McCabe-DeVries Funeral Home in Davenport. Burial will be at Rock Island National Cemetery. Visitation will be from 10:00 a.m. until the time of services on Friday. Memorials may be made to Stead Family Children’s Hospital. Bob was born September 30, 1940 in Davenport, the son of Robert A. Sr. and Catherine (Kelso) Ohland. He served his country in the United States Marines from 1958 – 1961. Bob was married to Rita Whitton and later to Mary Charap. Bob worked as a tool and die maker for John Deere, retiring September 30, 2008. He also worked for Alcoa. 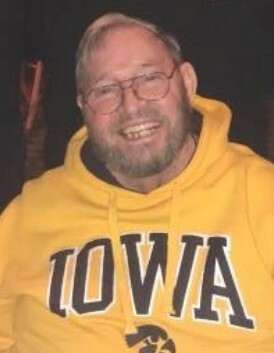 Bob enjoyed gardening, the Iowa Hawkeyes, Chicago Cubs, NASCAR, and coaching baseball. He was a volunteer firefighter, and loved spending time with his grandchildren and attending their events. Bob had quick wit and a sense of humor. Conversations with him always included his trademark statements of “OK fine!” or “Ta-Ta for now!” along with a playful grin on his face. Those left to honor his memory include his children, Bonnie Ohland of Davenport, Ross Ohland of Davenport, Keith (Brandi) Ohland of Blue Springs, Missouri, Brad (Trish) Ohland of Davenport, and Scott Ohland of South Carolina; grandchildren, Steven, Jessica, Zachary, Abigail, Grace, Julia, Elena, Morgan, and Lily; great-grandchildren, Guiliana, Myilana, Zahlia; siblings, Karen (John) Brown of Naperville, Illinois, Sharon Reisinger of Missoula, Montana, and Thomas Ohland of Rock Island. Bob’s family would like to extend their sincerest appreciation to Senior Star for their love, care and support.